Tooth replacements have improved considerably during the past years, according to dentists in Albuquerque. Missing or extracted teeth can cause infections and further dental complications, so it’s important to choose the right tooth replacement option for you in order to be happy with the result and confident with your smile. Most people consider receiving either dental implants or bridges. Before making this decision, you should be aware of both the advantages and disadvantages each option offers. In this article, we’ll tell you all about the pros and cons of implants and bridges so hopefully, you’ll have a clearer vision before choosing either procedure. A dental implant is a surgically placed artificial tooth root. It’s positioned into the jawbone and supports the replacement tooth which is placed onto the root. Dental implants have revolutionized the replacement of teeth and have been growing more and more popular since the first time they were used in 1965. Implants are very stable because they fuse to your jawbone, into the bone socket and this way the replacement tooth on it doesn’t slip or move. The dental implant is made from titanium because it’s non-toxic and not rejected by the body. Once the implant is placed, the bone needs to heal in order for the implant to bond to the jawbone. This can take up to 12 weeks and after that the second part of the implant, the abutment is placed. The role of this second part is to hold the new tooth or the crown. A lot of people choose dental implants and it’s easy to understand why. Here’s our list of implants’ pros. Implants look just like real teeth, even better. They are designed to feel, look and function like your natural teeth so you will feel comfortable while chewing any kind of food without worrying that your new teeth could fall off. You can also smile widely and confidently because no one could tell you had a tooth replacement and it’s even more than likely to receive numerous compliments on your smile. If you take care of the implants properly, they can last as long as conventional restorations on teeth. Having implants still means you should maintain good oral hygiene and visit your dentist for a check-up regularly. It’s important to brush and floss around the implants at least twice a day. Your dentist will also give you more specific instructions on how to take care for your new implants so that they last you a lifetime. Dental implants have a high success rate. It depends on where in the jaw the implants are placed, as well as a patient’s overall health but in general, implants are successful in up to 98% of the time. Besides that, with technology’s further development and improvement, implants’ success rate keeps growing more and more. Having a missing tooth makes you appreciate the ability to chew easily and without any pain. Dental implants are anchored into your jaw bone and that stability provides you with the opportunity to chew all kinds of food without feeling that you are missing a real tooth. Dental implants do not require reducing nearby teeth because they are not needed to support the implants. This way more of your own teeth are left intact which improves your overall and long-term dental health. Another advantage is that implants allow easier access between them and other teeth, which does not complicate flossing and maintaining your oral hygiene. Because of all these advantages, dental implants are an excellent investment in your beautiful smile and long-term oral health. Implants are generally considered safe but as with any surgery, it’s possible that some complications occur. Infection, bleeding, gum disease, swelling, and nerve or sinus injury may be among the possible outcomes. If you experience any of these symptoms, go to your dentist immediately. The road to fully finished and great looking dental implants is not short. The whole process involves several steps including placing the implant, waiting for it to heal and to bond with the jawbone, placing the abutment and then the crown. Each healing process may take up to 6 months, so you should be armed with patience. Dental implants are usually not covered by insurance and they can be pretty expensive. A single implant could cost several thousand dollars, so it’s important to discuss the payment options with your dentist. 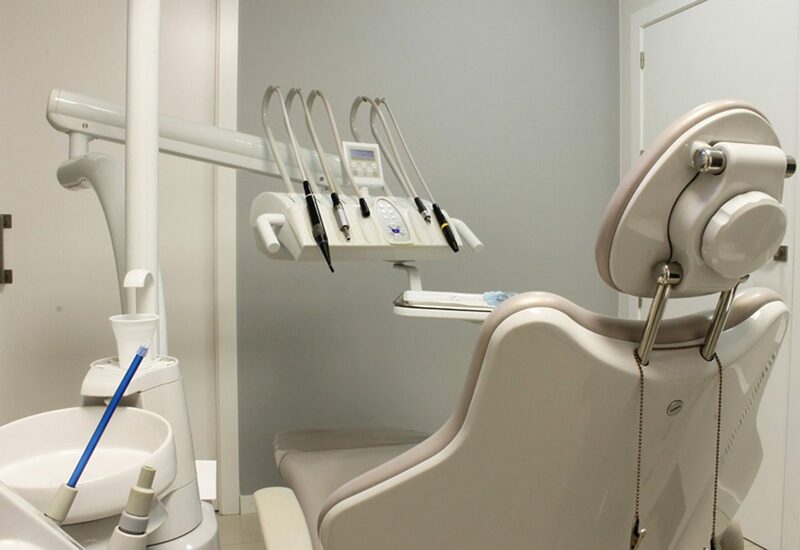 Also, an increasing number of insurance companies have started providing some coverage, so it’s a good idea to talk to your dental care company too. Despite the fact, there are a few drawbacks of the dental implants, all in all, they are a safe and reliable option which can significantly improve the quality of your life. In most cases, anyone who is healthy enough to undergo an oral surgery or a routine dental extraction is eligible for dental implants. Patients who are thinking of getting implants should have healthy gums, the proper bone structure and should be committed to good oral hygiene and regular dental check-ups. Heavy smokers, people who have had radiation therapy to the head or neck area and people suffering from diabetes or heart disease need to be evaluated on an individual basis. People who are not able to wear dentures may be good candidates too. If you are considering implants, always talk to your dentist about whether this is suitable for you. A dental bridge is used to fill in the gap created by one or more missing teeth. It’s made up of two or more crowns for the teeth on either side of the gap and a false tooth in between them. These false teeth are called pontics and can be made from different materials like porcelain, gold, alloys or a combination of these materials. Traditional bridges are the most common type of bridges and are made of porcelain fused to metal or ceramics. These bridges create a crown for the tooth on either side of the missing tooth and have a pontic in between. Cantilever bridges are not very common anymore. They are used when there are adjacent teeth only on one side of the missing tooth. However, this type of bridge is not recommended in the back of the mouth because it can damage other teeth. Maryland bonded bridges consist of one false tooth which is bonded to a set of so-called wings on either side. The wings hold the false tooth in place as they bond it to the teeth on either side. This type of bridges is considered a conservative alternative to traditional bridges. Dental bridges are a quick way to replace a missing tooth and result in a full set of teeth. Usually, you need only two dental visits for the preparation and placement of the dental bridge. Besides the short time it takes to get a dental bridge, below are some more plus sides of this method. The costs of this type of procedure would cost much less than most other dental alternatives. Dental bridges are affordable because they’re made of very durable porcelain which is quick and easy to make. Even though they cost less than implants, for example, they’re strong and provide the necessary support for your mouth. You don’t need to take special care for your dental bridges. If they’re high quality, they can last a lifetime and require very little maintenance, if any at all. Porcelain bridges need to be replaced about every 10 years but the replacement procedure is so simple that you don’t have to worry about it. Dental bridges are less invasive than other tooth replacement procedures. They don’t require a surgical process which makes them a great alternative for people who cannot undergo such procedures due to medical reasons. Unlike dental implants, dental bridges don’t need to be fixed via a surgical process. The entire process of placing your dental bridges takes only about a couple of hours and it’s no followed by pain, blood or discomfort. Dental bridges not only fill the gap where the missing tooth is but also cover the adjacent teeth which are good if they are discolored, cracked or have fillings. Dental bridges also ensure that adjacent teeth do not shift into the gap between them. In order for the bridge to be placed, the adjacent teeth to the missing one need to be filed. Only this way can the adjacent teeth hold the dental bridge in place. This could eventually lead to loss of enamel in the adjacent teeth. In very rare cases, the procedure may lead to damaged nerves. In such cases a root canal treatment may be necessary. This isn’t something that happens often but it’s good to have it in mind. Unlike dental implants, bridges definitely don’t look exactly like real teeth. They’re place discreetly and provide the necessary stability but don’t have the aesthetic final appearance you might be looking for. It’s recommended that pregnant women avoid dental procedures during pregnancy. Even though local anesthetics are used for this procedure, dentists advise getting bridges after delivery to avoid any possible complications due to the anesthesia. If you have more than one missing tooth, another tooth replacement option like dentures or implants could be better for you because bridges require the adjacent tooth to be strong and healthy in order to support the bridge. In conclusion, you have a choice between two good options – dental implants and dental bridges. The choice depends on your unique oral health and situation. You have to weigh out the pros and cons of each procedure and see which would suit you best. Think about what your priorities are and about your financial and health situation, too. Consider dental care and insurance, personal preferences and time investment and don’t forget to talk to your dentist for a consultation and professional guidance. They know everything about your teeth and has the knowledge to help you make the right choice. This decision can be hard but with enough research and professional opinion, you will be able to find out what you want and need.